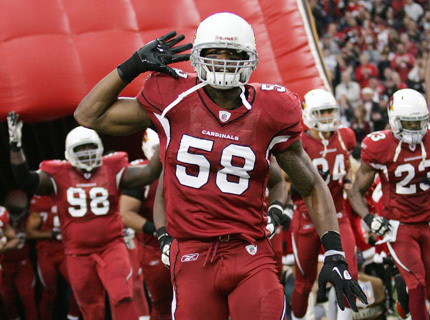 Cardinals inside linebacker Daryl Washington was arrested on suspicion of aggravated assault Friday in Ahwatukee Foothills, the Arizona Republic reports. 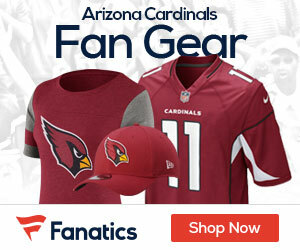 Phoenix police began investigating Washington after the mother of his child called police Wednesday afternoon saying she was assaulted by Washington earlier in the day, according to the Phoenix Police Department. The woman told police that Washington pushed her with two hands, causing her to fall and break her right collar bone, according to court documents. Washington is also suspected of grabbing the woman’s neck and pushed her against an upper-story railing, according to the documents. Washington’s agent, Jordan Woy, told Republic reporter Kent Somers that “Daryl is fully cooperating with authorities” and said he would have no further comment at this time. Washington, a Pro Bowl inside linebacker, was suspended for the first four games of the 2013 season for violating the NFL’s substance-abuse policy.